Knockillaree Riding Centre & Stud is a family run business. It is situated in the majestic Connemara where it feels like time has stood still! Based in Oughterard, Co. Galway – only 25 minutes north of Galway City at the “Gateway to Connemara”. Our Centre is located on the Rusheeny road, just outside the town of Oughterard, and is nestled between beautiful hills, mountains and the shores of Lough Corrib. We offer a full range of services including trekking, lessons, showjumping leagues, pony camps, breaking and training, livery and stud. 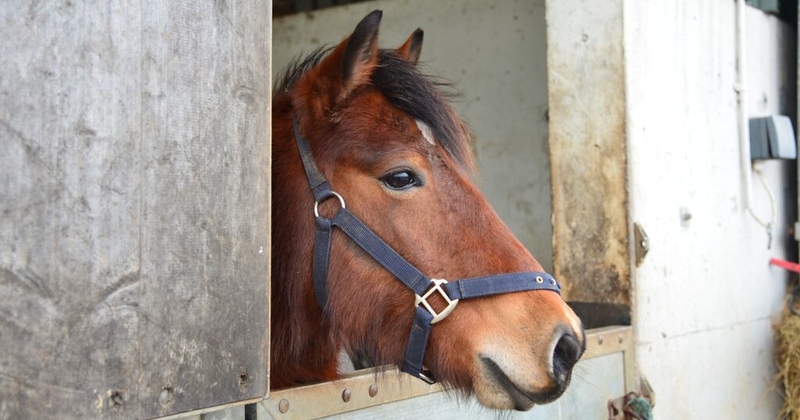 For those interested in the native Connemara Pony, our yard has a large selection of Connemara ponies with champion showing, ridden and showjumping stallions at stud and the opportunity to hear about the history and development of this versatile pony from the yards owner, Roger Joyce. Roger is from a long line of Connemara breeders and stallion custodians. 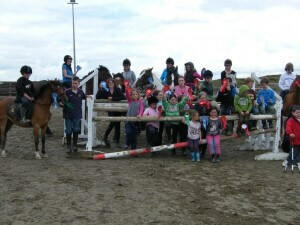 He is also an experienced horse and rider trainer and an international Connemara Pony Judge. Treks for individuals, couples and groups / families. Our treks will take you through scenic woodlands on the shores of Lough Corrib, or up the mountains for breath-taking views of the surrounding countryside. No experience required as you will be given a short lesson / instruction before your trek. Lessons all year round for all ages and capabilities, from beginners to advanced and competition level, offering a high standard of tuition. The Centre is AIRE (Association of Irish Riding Establishments) approved with qualified BHSAI instructors, and is approved to teach up to BHS Stage 2 Stable Management, Horse Care and Riding exams. Our group lessons are on every Wednesday and Saturday. We are also available for private lessons on request. Other services including half and full livery, stud, breaking and training and competition transport. 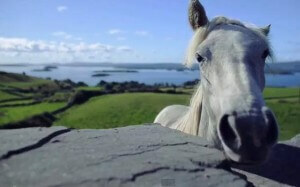 We have extensive knowledge and contacts in Connemara.